I am often most in to crystal collecting for the simple joy of having pretty stones to look at every now and then! It's so interesting that something so beautiful and intricate grew naturally. 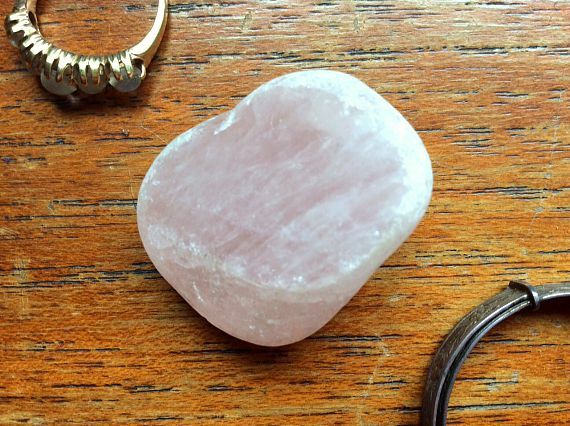 Rose Quartz is believed to be most in tune with the heart chakra, inspiring self love, forgiveness and loving others. I love how it symbolises self love and acceptance; in an crazy era where we are given such creative freedom online, with photo apps built to polish over imperfections, it's easy to feel inadequate and overshadowed in so many areas. 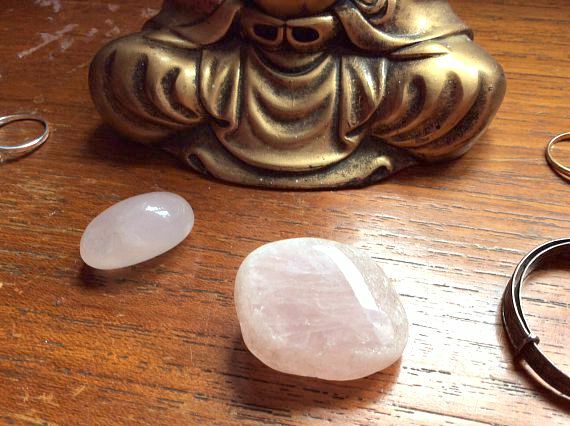 I love Rose Quartz as the stone of self worth and for celebrating the self! In my school days I went through a period of anxiety that I know now as a form of Body Dysmorphia; I would just describe myself as looking 'wrong' and couldn't understand how to look 'right' like everyone else. At hometime I would just try and hide and fear being seen by anyone. I ended up focusing my blame on every facial feature, convinced my nose was wrong, my face was alien-like - I needed surgery somewhere on my face to make me 'right' again. When the doctor told me I actually looked 'ermm normal', I never wanted to go out again. I didn't go to prom - but on that day of leaving school, I went off and spent the day how I wanted to. I'd started trying to challenge myself to go out and not care about my appearance - so difficult but a lot easier around strangers on the street. On that day I was at the the museum - and picked up the biggest rose quartz crystal in the basket: for being brave I thought. I enjoyed myself so much more that day than I ever would doing anything otherwise. I thankfully fully recovered my confidence in my appearance - and hardly ever stress about it now. I realised that one can appreciate the beauty of others and still appreciate their own, both inside and outside. But whenever I need a reminder - everyone does sometimes! - I keep this crystal close by, like a goddess stone in a rose-coloured sparkling shell. I like your ideas! 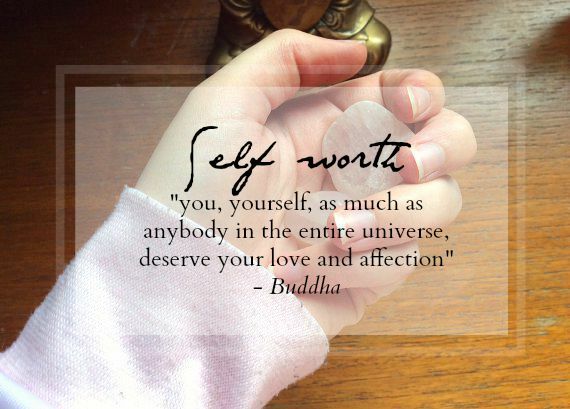 We should also cherish ourselves. It is very important. Amazing and fascinating article. Incredible things you've generally imparted to us. Much obliged. Need Assignment Help for urgent assignment services? Then IrelandAssignmentHelp.com is the right choice for getting best report writing services ireland. We have the broad-spectrum team of professional and high experienced academic writers to solve the problem of your assignments. We provide 100% plagiarism free content so you can score high grades in your college and university.